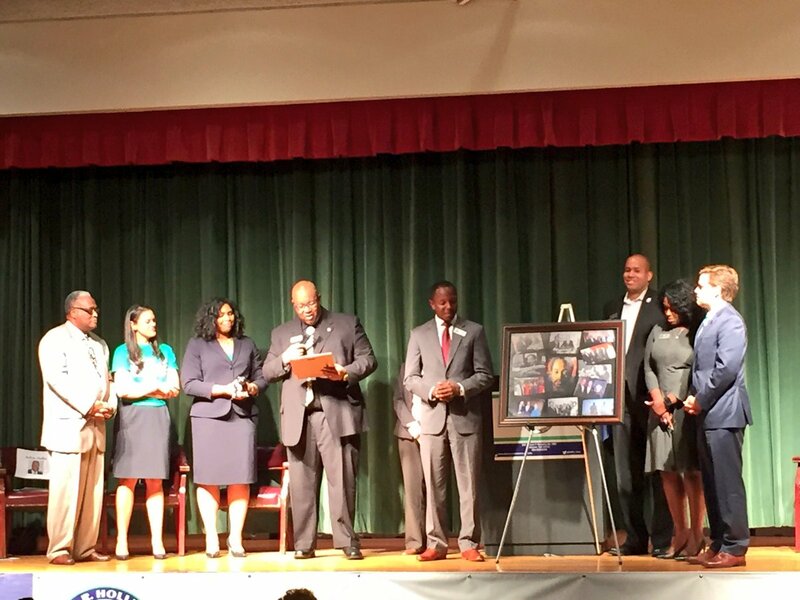 Atlanta Public Schools celebrated the official unveiling of the Michael R. Hollis Innovation Academy on Thursday, October 6 in the former Kennedy Middle School building. The school serves students from the former Bethune Elementary School in the revitalizing west side of Atlanta. The school features both an EL curriculum and innovative STEM-focused curriculum in partnership with the Georgia Tech Center for Education Integrating Science, Mathematics, and Computing (CEISMC). The Michael R. Hollis Innovation Academy is named in the honor of the late Michael R. Hollis, entrepreneur and founder of Atlanta Air. Hollis was the first African American to launch and control an airline in the United States. The energy and excitement surrounding this momentous occasion was prevalent in the room throughout the event. 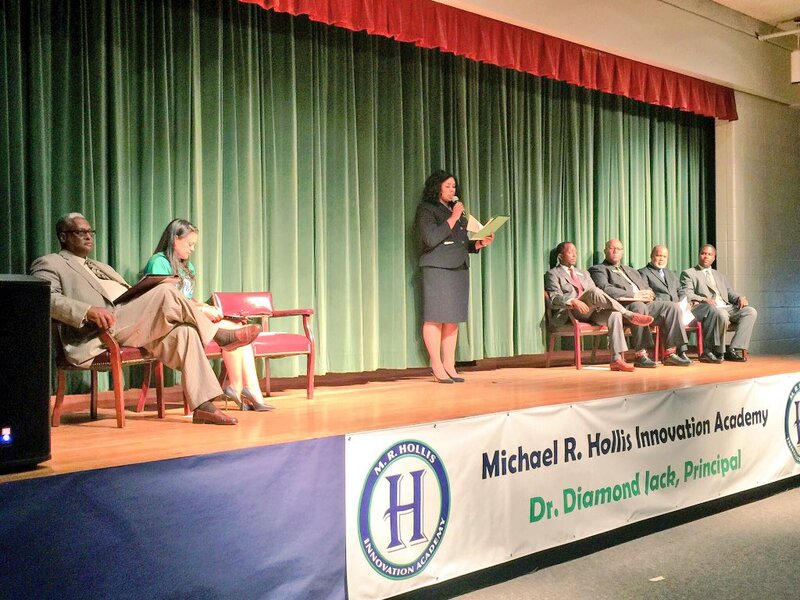 Dr. Diamond Jack, Hollis principal, gave a rousing speech about the history and vision of the Michael R. Hollis Innovation Academy. Julius Hollis, brother of Michael R. Hollis, provided inspirational remarks for all of the students and encouraged them to believe nothing is “impossible” but to rather exclaim, “I’m possible.” In typical fashion, Dr. Meria Carstarphen further enlivened the ribbon cutting ceremony with a Hollis chant and pledge from the students. Michael R. Hollis was a 1971 graduate of Booker T. Washington High School in Atlanta Public Schools. Dozens of his classmates supported the event with their attendance and presented the principal with a framed collage of Hollis’s photos to display in the school. Everyone is excited about the what the future holds for the Michael R. Hollis Innovation Academy. Both faculty and students strive to embody the six “Habits of Hollis” which are collaboration, empathy, communication, self-discipline, creativity and perseverance.